Tag Archives for " The Timeless Way of Building "
This time of year it’s customary to read lists of business books deemed best in class for the year. Today I want to share 5 books, none of which would be directly categorized as business books, that have helped shape the lens that I view my business, strategy, challenges and maybe even relationships. One of the greatest constraints that business people face is the inability to view things from a new point of view. Continuing to return to the box filled only with the ideas and experiences of our past or of that of our industry norm is what makes innovation, growth and creativity seems so hard. Until you can explore and find new ways to view everything around you, everything that happens and needs to happen, I think you’ll may always feel just a little bit trapped. 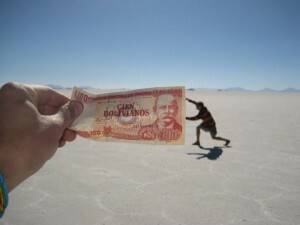 Great artists and others that we might call creative are often blessed with the gift, or curse as it may be, of envisioning things differently, seeing negative space as the real potential, or finding patterns in nature and culture that give clues to massive discoveries in seemingly unrelated fields. While the traditionally analytical business owner may not view themselves as naturally creative there is significant evidence that a new view of space and time can be acquired, much like glasses I think, if you’re open to it, and I would like suggest you must be. Below are 5 books that I’ve turned to repeatedly to help me find ways to unlock new business perspective, precisely because they are not business books. 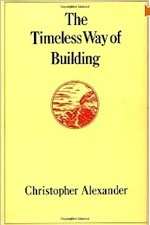 The Timeless Way of Building – This Christopher Alexander classic explains the idea of patterns in architecture. While architects are very familiar with this work, dubbed a part of the Oregon Experiment because of the study of patterns in building the University of Oregon campus, I am always blown away by the practical application of this one idea – A pattern is a way to solve a specific problem, by bringing two conflicting forces into balance. I think the study of patterns is such a fascinating way to view business, selling, systems, and customers. 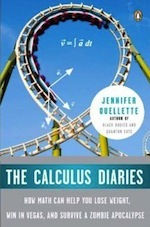 The Calculus Diaries: How Math Can Help You Lose Weight, Win in Vegas, and Survive a Zombie Apocalypse – The Calculus Diaries is the fun and fascinating account of English major, Jennifer Ouellette’s year spent confronting her math phobia head on. With a fair amount of humor tossed in, Ouellette shows how she learned to apply calculus to everything from gas mileage to dieting, from the rides at Disneyland to shooting craps in Vegas-proving that even the mathematically challenged can learn the fundamentals of the universal language. I don’t turn to this book because I want you to learn Calculus, I think this book demonstrates how you can totally change your view of something when you start to look for practical applications. So many people can relate to the math phobia and I think there are many business phobias that need a new look – anyone hate selling? 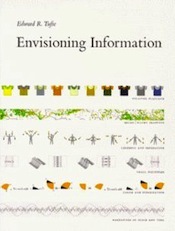 Envisioning Information – Edward Tufte- This is visually gorgeous book that you might find on a coffee table or two, but this is no a book to just flip through. This is a book that you need to spend time with as it presents that best example of visual information design and the underlying principle that make the great ones sing. It’s easy to how this book should be required reading for any web page designer, UI designers, statisticians, cartographers, scientists, but today every business owner must be concerned with presenting dense information in a clear way and this books lets you see how to do just that. 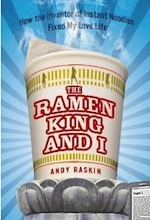 The Ramen King and I: How the Inventor of Instant Noodles Fixed My Love Life – Anyone that has the nerve to jump into this entire list may find this book to be both the most entertaining and oddest. The book tells the autobiography from NPR commentator Andy Raskin and is part humorous, odd and spiritual. For me the best part was an introduction to the Japanese art of sushi. I’ll admit I’m not really a fan of sushi, possibly due to the fact that my sushi has come from a Midwestern grocery store, but this book opened my eyes to the wonderful, patient art. In the end Rasking realizes that in order to quell his demons he is going to have to face them and reassess how he looks at his life and that’s what this book has to teach many a business owner. The Art of Learning: An Inner Journey to Optimal Performance – Josh Waitzkin – Waitzkin is a world champion chess player and subject of the 1993 movie Searching for Bobby Fisher. In this memoir he reveals how his skill with chess can be applied to the much more seemingly physically demanding sport of Tai Chi. He took the sport up in an effort to experience that process of learning something anew and had no intention of competing. For five years straight he was the Tai Chi Chuan Push Hands Middleweight National Champion. 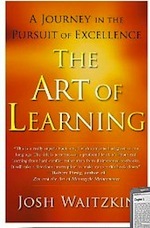 In The Art of Learning he shares how anyone can learn how to tap new perspectives to create optimal performance. Are there any books that have had this same impact on your thinking?